Capitol Hill is among the neighborhoods you can explore with our new Neighborhood Guide. Photograph by Scott Suchman. Starting today, readers have access to Washingtonian’s new comprehensive insider’s Neighborhood Guide, presented by Compass. The magazine’s award-winning lifestyle content was transformed into an easy-to-navigate interactive page that provides a unique insight into neighborhoods across DC and its suburbs for residents and visitors alike. Find the best local dining, attractions, and shops, all recommended by our editors. Users can also make their own discoveries via a filterable map specific to each region that displays the locations of restaurants, schools, crime and more all in one spot. 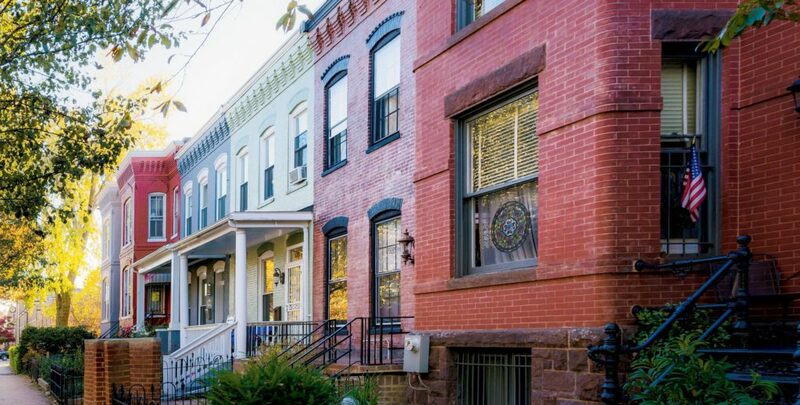 Each neighborhood profile contains population demographics, interesting facts—median property value, average commute time and rent prices, for example—and striking photography of community hot spots and notable residents. Want to call one of the featured areas “home?” Washingtonian’s partner, Compass, powers a directory of real estate listings and featured agents named in the magazine’s annual Top Agents list within the guide to give readers a peek into the real estate market and new developments in each area. The guide will be refreshed regularly as up-to-date recommendations are introduced, updates are needed, and new neighborhoods are added. View the full Neighborhood Guide at washingtonian.com/location.